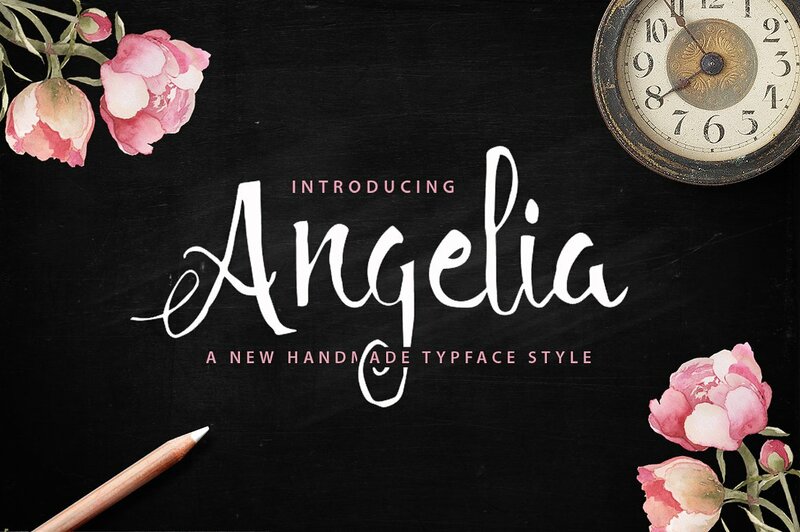 Download Angelia Script font for free. Angelia Script is a font / typeface offered for free. please note that if the license offered here is non-commercial you have to obtain a commercial use license / permit from the original author. Angelia Script is a beautiful handmade script give the natural looks. 282 glyphs and alternate character contain with opentype features. Stylistic alternates, Ligature and more. You can access all those alternate characters by using OpenType savvy programs such as Adobe Illustrator and Adobe InDesign. If the Angelia Script font is offered under 'commercial use free' or 'creative common' license, feel free to use Angelia Script font for any purpose.